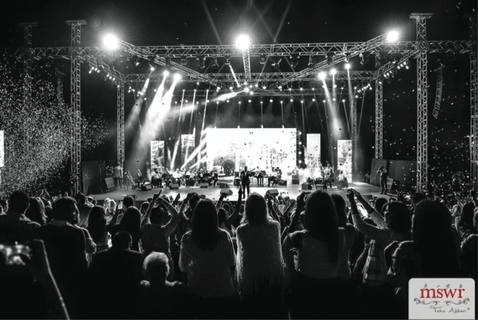 In September 2016, Lebanon’s second largest city hosted the first Tripoli International Festival, a commendable milestone in its history that featured concerts by Ragheb Alama, Assi Hallani, and Kadem Al Sahir, as well as a special performance by Tripoli’s own Walid Toufic. This year, the festival is even bigger, with shows by six major Lebanese stars between June 29 and July 8, and special Ramadan celebrations held from June 9 to 18. After witnessing its fair share of turmoil and an onslaught of negative coverage by international and local media, the historically rich northern city continues to suffer a slump in tourism and a shattered image. Local residents, tired of the media’s skewed portrayal of Tripoli’s extremist neighborhoods, are increasingly trying to create and showcase a different side of their city — its lively citizens and bustling city life, as well as positive initiatives by individuals and the likes of peace-building NGO MARCH. The festival is another step in the right direction for the city’s social and cultural scene, launched with the aim of empowering locals and bringing entertainment and business to the city. 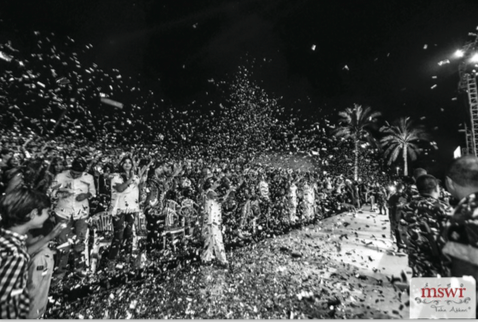 Salima Adib Rifi, president of Trablous Hayat (the newly-established organization behind the festival) and wife of former Minister of Justice, Ashraf Rifi, said in a statement that she considers the inaugural event a victory for Tripoli, especially as it drew positive media coverage. Last year’s concerts drew in crowds from different parts of Lebanon, including Beirut, Deir al Qamar, Marjayoun and Saida, as well as some Iraqis who flew in to watch their fellow countryman Kadim Al Sahir. Now in its second year, the festival is helping to further restore and reinforce a sense of faith in the metropolis. In addition to the fact that the big names attract visitors and purchasing power to the city, locals are also employed to work on productions. The festival’s first-time Ramadan celebrations at the central Khan al Askar saw the historic, but run-down courtyard transformed with lights, greenery, and holiday decor. The celebration was held in collaboration with Lebanon’s famous traveling food court, Souk el Akel, with the food stands incorporating Tripoli specialties into the usual food options. Meanwhile, crowds enjoyed nightly programs of live music, singing, dance troupes, and Mawlawi dance performances, staged by local talent. Speaking on television, Rifi said the location of these festivities in such an underdeveloped area was aimed at dispelling the public’s fears about that neighborhood, and showing them its charm. In July, the second portion of the festival features another star-studded series of concerts at Rashid Karami Stadium. After last year’s success, Walid Toufic returns to the stage in his home city, accompanied on the same night by songstress Yara. In addition, there will be a performance by father and son duo Elias and Ghassan Rahbani with several other singers and an orchestra. Wael Jassar and Michel Fadel form a double bill, and the finale is Lebanese favorite Wael Kfoury, plus a surprise additional performance not in the current schedule that will feature talents from Tripoli.